SpectraSheen pattern. In the daytime, sunlight causes brilliant splashes of color on & through windows. (Entrance glass) Surrounding the front entrance to the Library. 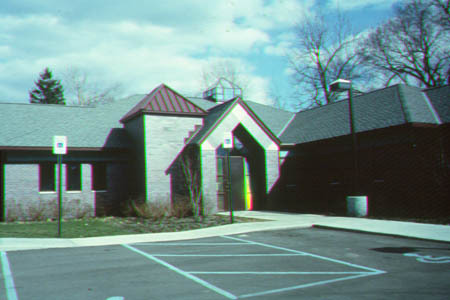 Eastwood Branch, Kalamazoo Library System.